It’s just one of those days when Sweetums crashes a golf cart into the set because he’s carrying a giant block of butter that melted all over the golf cart controls, the butter that they are using to replace a guest who cancelled at the last minute. 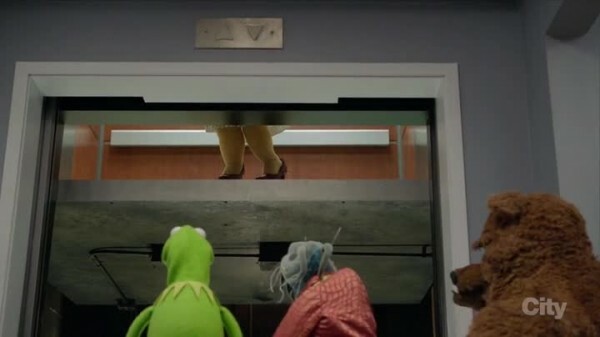 A day when Miss Piggy is stuck on the elevator and can’t accept her winter wardrobe shipment and Bobo manages to rewire the elevator to be even more dangerous and Fozzie falls into the open shaft. 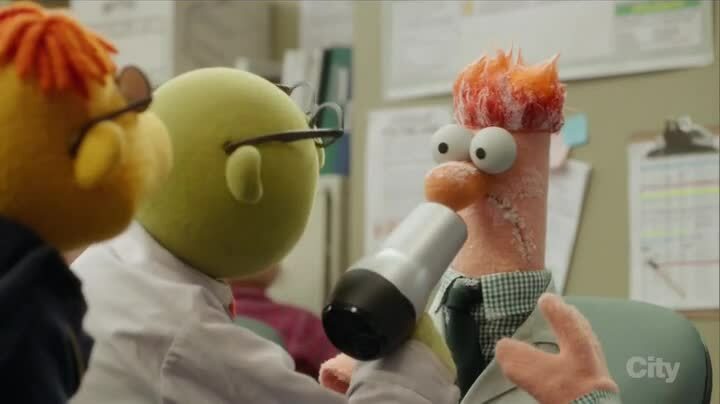 And Kermit needs to order lunch! 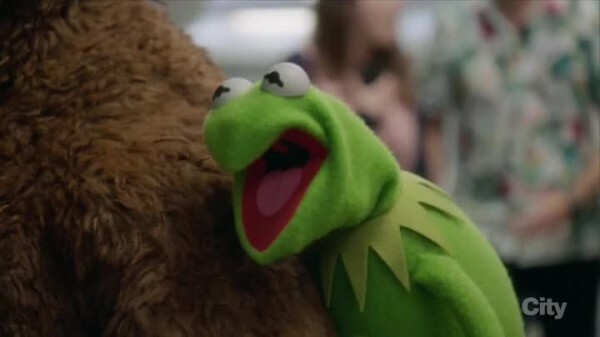 All this and some other things lead to Kermit collapsing. It’s not a heart attack, it’s just a stress attack. 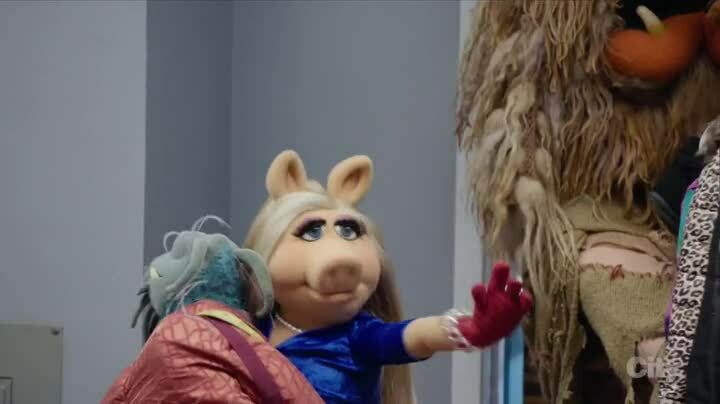 Denise and Piggy finally get a good scene together as they are competing to suggest Kermit take the rest of the day off and go to a spa for the weekend. Miss Piggy even finishes Denise’s sentences, but doing so incorrectly as she assumed Denise would be disagreeing with everything she said (instead of agreeing) was the fun type of bickering we don’t get enough of. 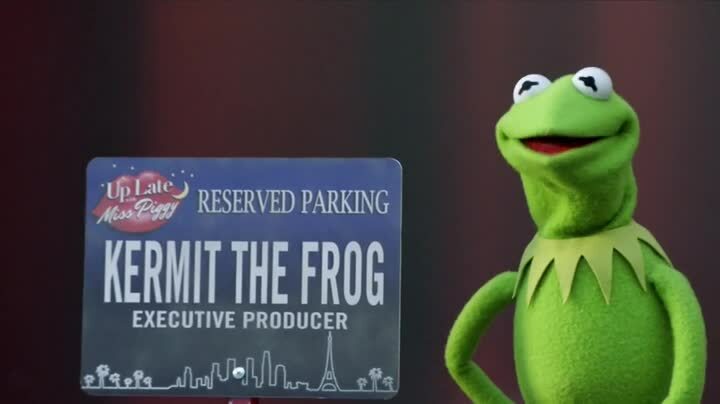 In a surprise move, Kermit puts Scooter in charge as he is the associate producer. I guess the actual jobs the characters hold matters! 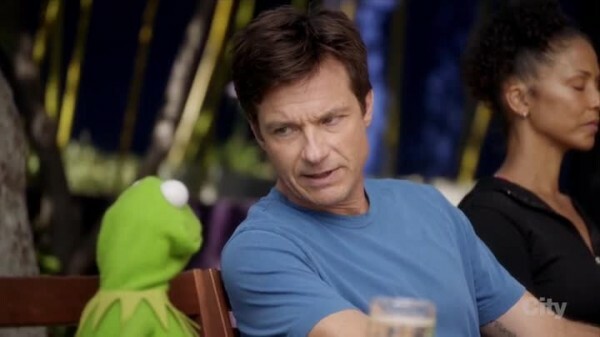 At the retreat, Kermit is just getting into failing when Jason Bateman shows up as a fellow guest, but Bateman has no intention to relax and is guilting Kermit to help him with production work on his daughter’s school musical that Bateman volunteered to direct (and is the reason he was sent for stress relief.) Kermit gets tossed from the retreat over this. 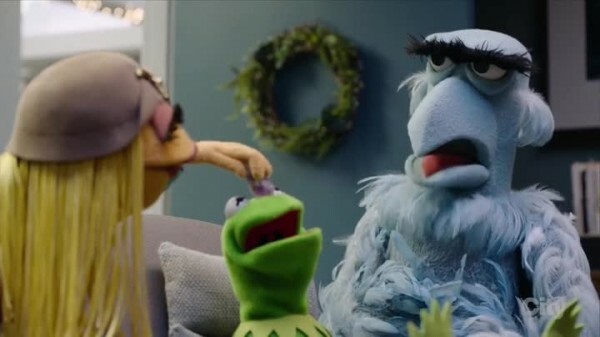 Scooter plans to run for it, but Gonzo talks him into staying, despite earlier in the show being annoyed he wasn’t picked to be in charge. Scooter ends up setting up the show to be lit by candles for energy awareness, and runs the cameras off the golf cart batteries. 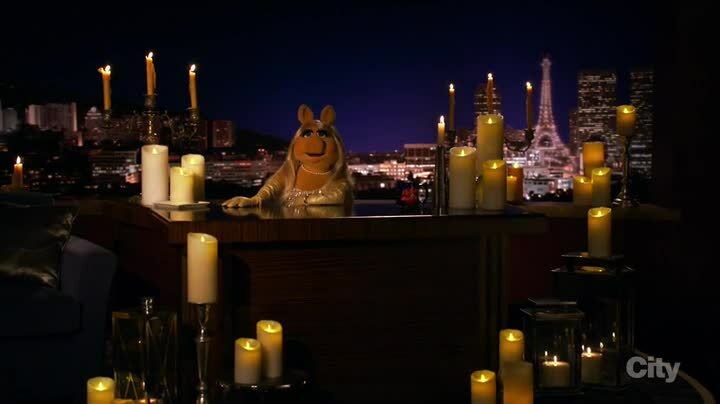 After a welcome talk with Rowlf, Kermit realizes what he needs to do to relax is his own thing that centers him, not some fancy retreats. 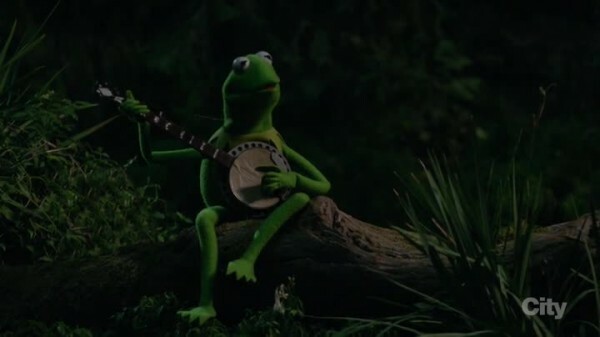 This means he puts a swamp into his back yard to relax in at night, including playing Rainbow Connection on the banjo often enough the neighbors are complaining. 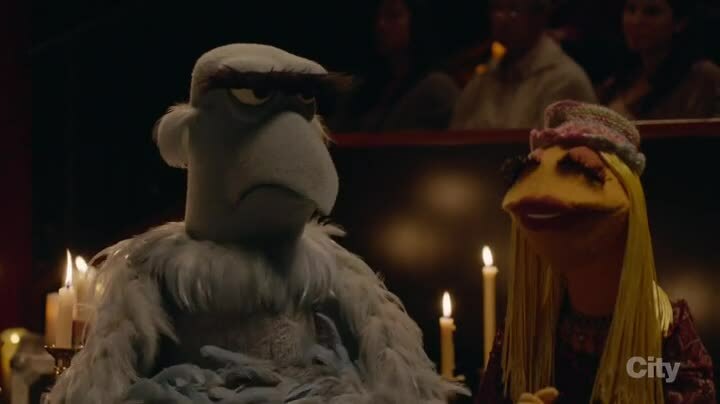 The C-plot that ends up slowing everything down is more adventures of sadsack Sam the Eagle trying (and failing) to hit on Janice throughout the show. While this doesn’t seem to be going anywhere, Sam’s attempts to do things to try to impress Janice at least are getting him out of his comfort zone, but the whole thing is uninteresting, and the Janice/Sam pairing makes no real sense at all. This episode was a mix of good and bad. Scooter matured at more assertive. Even as his ideas began to fall apart, he managed to make the best of it with a little encouragement from Gonzo. 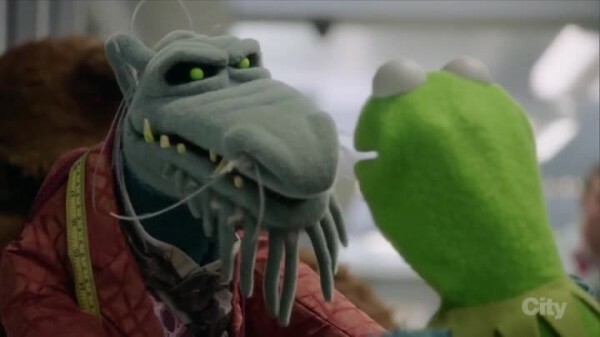 Kermit’s good nature was used by Jason Bateman, and while I recognize that this is just a fictional version of Bateman used for comic effect, the actual idea that good people like Kermit would be used and abused by leeches is a sad reality and actually made me annoyed. Less at the show, and more at life in general. 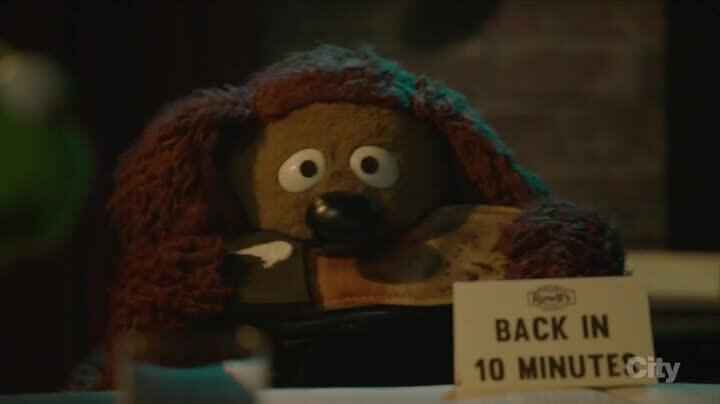 The resolution was a nice dose of nostalgia, and the talk Kermit had with Rowlf seemed like it would have fit in perfectly with any Jim Henson-era Muppet feature. In addition, Uncle Deadly has been on fire the past few weeks, here he gets some more killer lines. His dramatic delivery makes his jokes, proclamations, and threats all the more real. 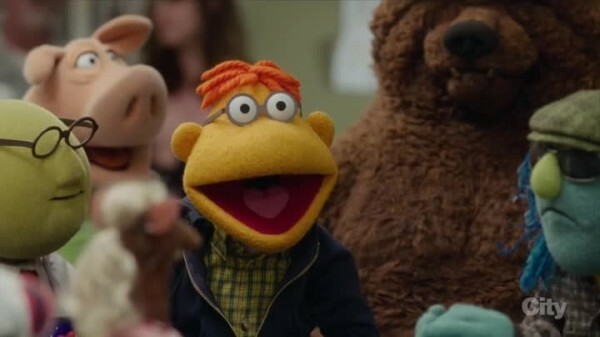 He’s been the breakout star of the series. There was also some good use of the background music to throw a gag to show it was all Animal playing the drums and not just a soundtrack, which fit in perfectly with the parade of problems from the opening sequence. Overall, the episode had ups and downs, but is part of an upward trajectory and hopefully means more quality in the future.